The always remarkable Wladimir Palant has found a fix for the most annoying OS X "feature" ever, the change of behaviour of the window maximize button. 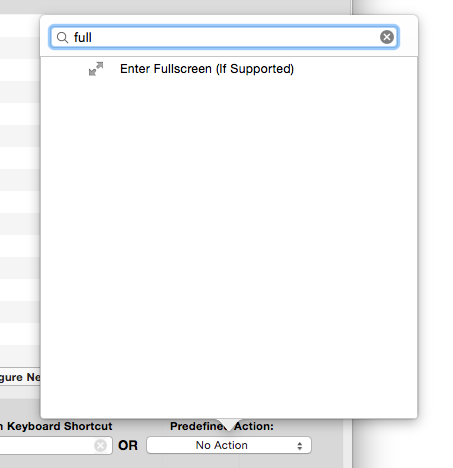 In Yosemite, it now defaults to fullscreen and you have to press the Alt key to get the "classic" behaviour of window maximization. This is so painful all the people I know are currently asking how to reverse that. Given the very negative feedback, I'm pretty sure Apple will at some point in the future introduce a defaults allowing to reverse that from the command line, but for the time being we're all cursing in front of our Mac when we toggle an app fullscreen instead of maximizing it. Apple, read it well: One Does Not Change a 25 Years Old Behaviour; remember the Windows Start button. Oh, and the fullscreen standalone button on the right hand side of the titlebar was better than the current Yosemite blurby hack. Download BTT and install it. 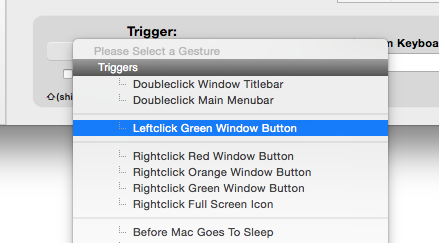 Create a new trigger and select the "Leftclick Green Window Button"
select "Zoom window below cursor"
You can now close the window ; make sure BTT is running at all times. Thanks Wladimir and thanks BTT! 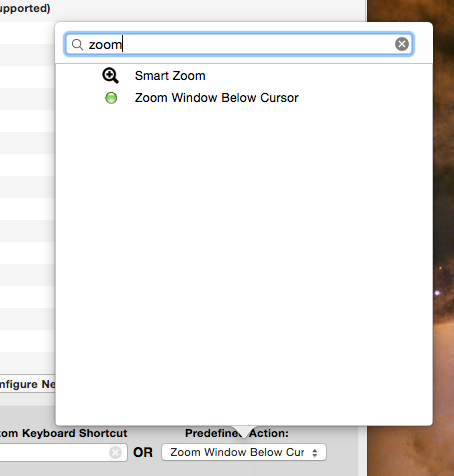 Not perfect but better than regular Yosemite's behaviour! I already used BetterTouchTool to emulate a middle-click on the trackpad using three fingers but I didn't know it could do that. I've learned to double-click on the title bar instead. I know it's hard to erase the old muscle memory, but this is something that works without needing a third-party tool or needing to use the keyboard.